Getting married is one of the most significant steps in anyone’s life. Two people make vows to each other to remain exclusively together for the rest of their lives, “for better for worse, for richer for poorer, in sickness and in health,” until death. The Catholic Church’s understanding of marriage is that it is a unique, indissoluble partnership between one man and one woman, in mutual and lasting fidelity and open to the possibility of bringing children into the world. All those getting married in a Catholic Church must have the same understanding of marriage as the Church, even if they are not Catholics themselves. It is because the Church attaches such importance to marriage, both for the couple themselves and for society as a whole, that she is concerned that couples intending to marry are adequately prepared, and understand what it is to which they are committing. Marriage Care offer a one day course to help couples, planning to marry in a Catholic Church, prepare for fulfilled and happy relationships. Good marriages do not just happen. They take maintenance. 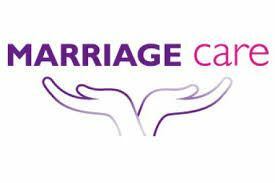 Marriage Care offers a confidential counselling service to support relationships at times of distress or difficulty. The team in Cheltenham would love to welcome new volunteers to train with us to work with engaged couples as they start out on their married lives.